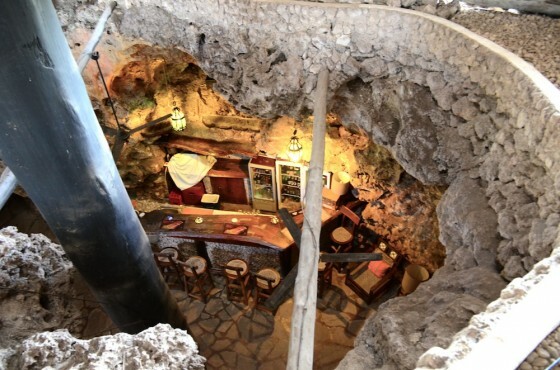 Eating at unique restaurants around the world is just one of the perks of a traveler’s life, but these experiences are always more fun when shared with our readers – especially when it involves subterranean spaces, that brought to mind these 700 year old cave homes in Iran. 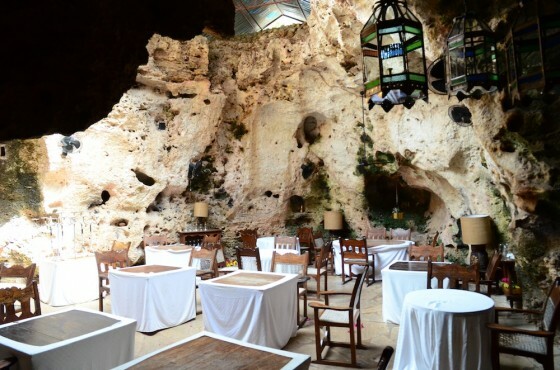 Thought to be up to 180,000 years old, Ali Barbour Cave Restaurant is a multi-chamber coral cave in Kenya’s Diani Beach. Converted upon the property owner’s surprise discovery three decades ago, the fine dining establishment is now world renowned not only for its remarkable ambience, but for dishing up some of the best food we have eaten in the country to date. 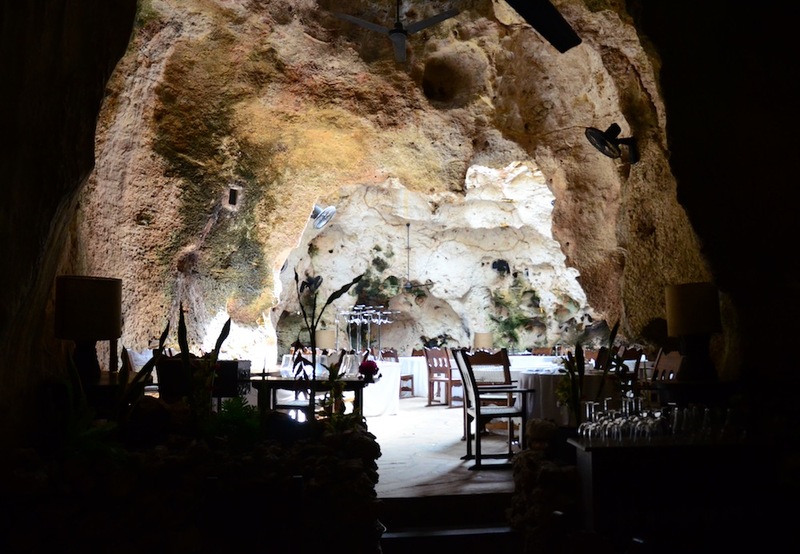 Owned by a family that emigrated here from the UK in the mid 1950s, the Ali Barbour Cave Restaurant is located just a few hundred meters from the Indian Ocean and beautiful white sandy beaches. There tourists, Italian expatriates, “beach boys” and even a man who walks around with three camels while away the hours soaking up the sun. 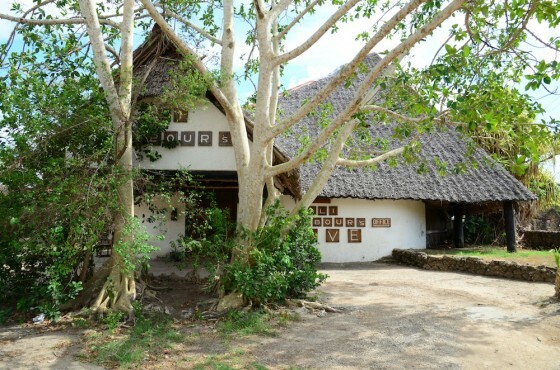 There are a few restaurants in the area, along with roadside attractions that serve dirt cheap chapati and beans and fancier spots like 40 Thieves, which also belongs to the Barbour family, that serves more western fare. But none offers a menu quite like Ali Barbour’s. With several vegetarian offerings, include spinach pie and stuffed butternut squash, we pretty much died and went to heaven. And though we didn’t sample any of them, the wine list featured an impressive variety of vintage greats from around the world – including South Africa, where boasts the continent’s best wine. Fancy meat and seafood dishes are also available, most of the main ingredients for which are sourced locally. And almost all of the vegetables are homegrown – which is very unusual for any kind of restaurant in the country, particularly in Diani Beach, where soaring heat and humidity are not every gardener’s best friend. Dark wooden furniture with an Islamic feel is laid out in the various chambers – leading from an entryway down into the belly of the cave – and dinner tables are topped with white table cloths and full service cutlery. The staff, so gracious and so well trained, are all dressed in black and white, the owner takes orders directly from each table, checking in occasionally to ensure that your meal is to taste, and prices are reasonable. 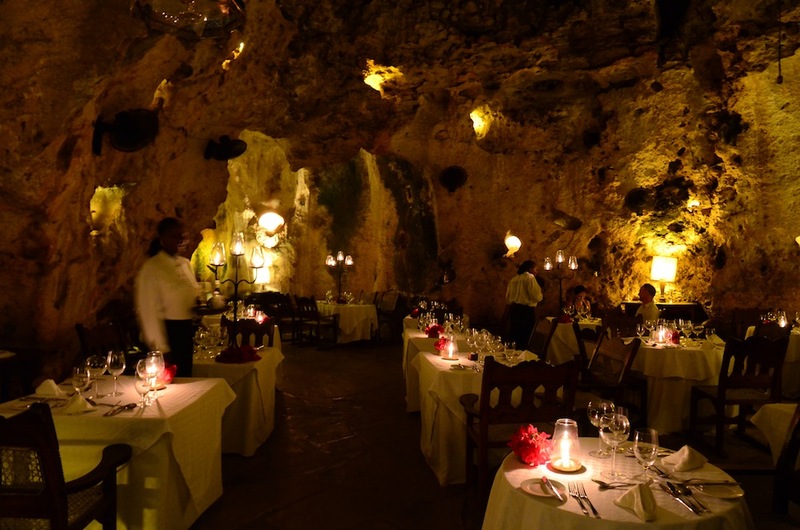 But far and away the most memorable aspect of the experience are the stars viewable from your table through an opening in the cave’s roof. Really, there are few places like it. Get there if you can, or live it through our photographs.